Pujol does not have a parking lot, nor valley parking. -La Fontaine 119, Polanco, Polanco III Sección, CDMX. 8 course chef's choice taco tasting menu with a selection of beverages. This menu is just offered at our bar. **If you do not drink alcoholic beverages we will provide you non-alcoholic drink. **Not kids under 15 years old are allowed. 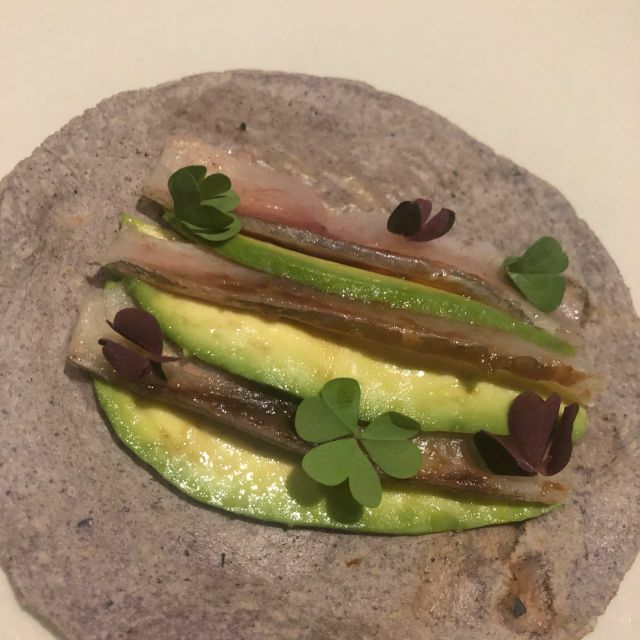 El omakase de tacos es todo una experiencia de sabores. Vale la pena si estás dispuesto a pagar. The food was incredible! It was such an amazing experience from the beginning to end! Quite possibly the best meal of my life. Everything was divine. 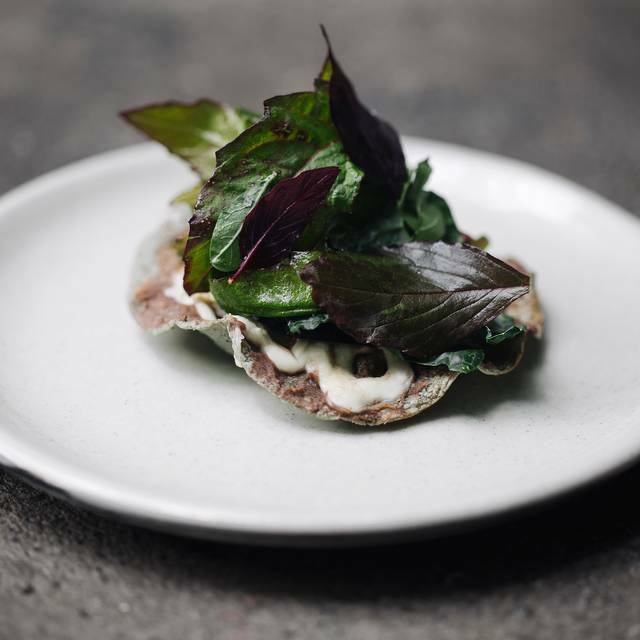 I did feel we were hurried through the 10-delicious courses with the next seating in mind and I would have enjoyed it more with greater pauses between at least a few of the courses. For the price you should be able to go at your own pace not that dictated by the business model. All in all, however, a worthwhile, special and very memorable experience. Out of this world place!! Everything was above and beyond! Una experiencia estupenda! Recomendable para cualquier amante de la comida mexicana. Antes había una chica super atenta de Tijuana que te guiaba perfectamente en la experiencia. Esta vez mi host fue Raúl, un tipo desatento y descuidado con la explicación de los platillos. En ocasiones llegaron los platos y tuvimos que esperarlo para "la explicación". Pésima experiencia, este servicio devalúa por completo mi percepción de Pujol. Pujol was overhyped for us. We did the Omakase Taco Bar (which is the way to go in my opinion) and we had 10 courses served to us. The experience was fun and the alcohol pairing (especially the mezcal) were delightful. Unfortunately, only about half of the 10 courses had any real flavor. The crab soup was too salty; confirmed by another couple we chatted with after dinner. The empanada lacked flavor in itself and was only decent because of the pico de gallo it was served with. The fish taco was also relatively salty and the only flavors I picked up were the salt and avocado. I personally think Pujol is too expensive for what they offer. 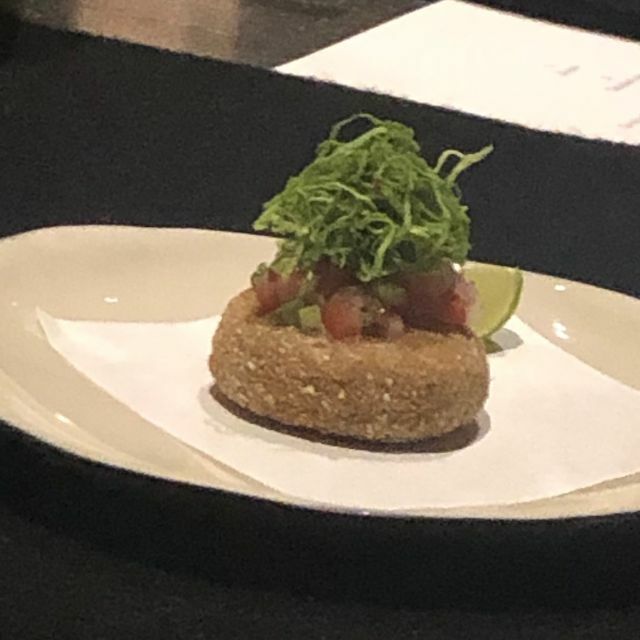 Per person the Taco Omakase bar was approximately $180 USD. Perhaps it is because they are in the Polanco area? We won't be back. It's very good, expensive but very good. One thing which would have made it better would have been to not be facing the bar tending and having the bar tenders tell us about the dishes being served. The bar activity takes some focus away from the food, which is what we are all there for. We also would have appreciated more clarity around the pairings of drinks with the various superb tacos offerings. Being given sake, then white wine, then sake, then white wine didn't wok so well, but I did drink it all and enjoyed it all. The cost is fixed and is the same whether or not you drink alcohol, which doesn't seem fair. We had Mexican Sake and two Mexican wines which were, in my opinion, excellent. People at the far right end of the bar face the glass washing sink. I would not have liked that. Watching the hard working and creative bar tender was pleasurable even if it took focus away from the food. Overall, It lived up to it's excellent reputation, even on a Monday night! I would go again and would recommend it, but would prefer to be in the dining room. Best restaurant I've been to in a long time! Un poco más de luz en los baños es necesaria. La comida no es nada espectacular, el precio es exagerado para lo que ofrecen. Muy decepcionado; la barra de tacos sólo conviene si va a tomar mucho alcohol, de lo contrario el valor por tu dinero es casi nulo. La calidad de la Ejecución de la comida ha bajado. Algunos platos muy salados. Algunos tacos muy pobres en su elaboración. Una inflada de maíz con Caviar de Beluga, donde el maíz no aporta nada y el sabor del Caviar se diluye en el bocado. El Maridaje ha cambiado en su concepto, hay que escoger entre familias de bebidas. Mezcal, cerveza, y vino/sake. Se pierde el encanto del maridaje para cada platillo. En general por el precio, la experiencia es pobre. 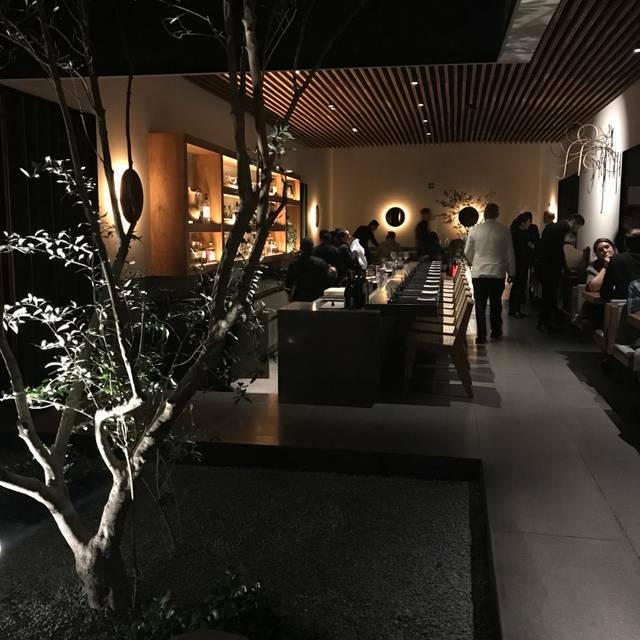 We had an amazing time at Pujol for the Omakase Tacos experience. Our reservation was for 4:00pm, and we were seated a little after that; we finished up "dinner" around 6:30 - 7:00pm. The courses were incredible, and I was so appreciative at how accommodating the chef was in light of my various dietary restrictions. I won't go through everything we ate, but, needless to say, the fish, seafood, sauces, vegetables, and CORN were prepared with amazing attention to detail and skill! Every single course was eye-roll worthy for us and extremely memorable. Drinks were included in the price and so I opted for Mexican craft beers, while my partner went for mezcal. They paired excellently with the courses and were also so fun to try. It was also an anniversary celebration for us, and Pujol made it special with a felicidades postre. I had even forgotten that I indicated our special occasion when making the reservation, so it was a lovely surprise. The service was fabulous as well. Our main server, Raul, was kind, thoughtful, and very knowledgeable. 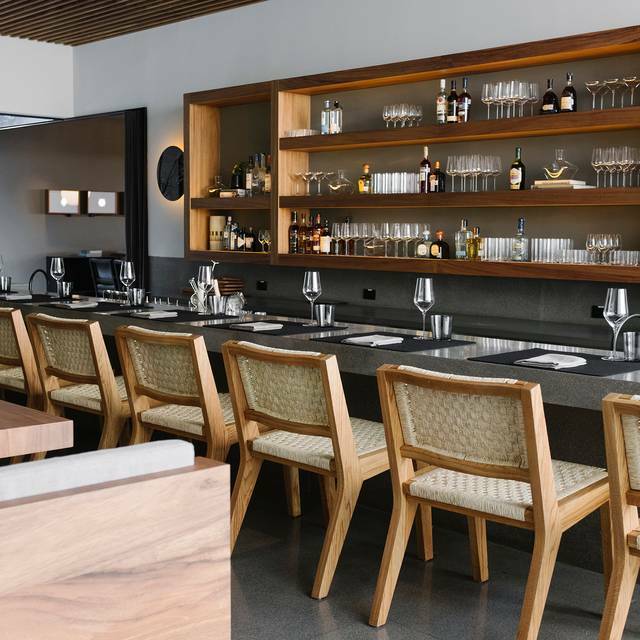 And, of course, the atmosphere of Pujol is so special. You feel like you're in someone's home and we loved the ambiance and environment overall. 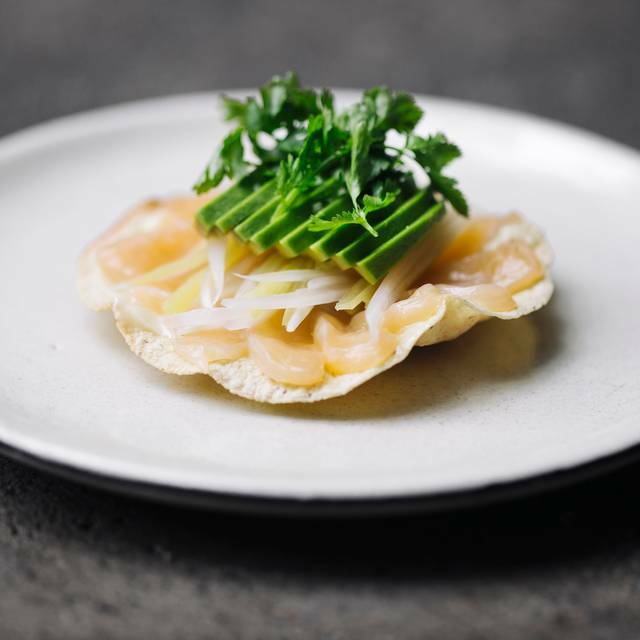 The environment immediately put me at ease, and the omakase tacos was a delight. The staff is really what sells it, our server/bartender spoke passionately about each mezcal, and Mexican sake pairing. It was such fun. Please note this is a good 3 hour + meal so plan your day/night accordingly. My absolute favorite meal. 100% recommend. Words can’t express my feelings on the meal, the experience of seeing the full service at the bar, the ambiance. Thank you, Pujol. We’ll be back again! Las botanas, los platos, los postres, las bebidas, el ambiente, el servicio - me encanto todo! Best dining experience I’ve ever had. Restaurant was stunning, food was incredible, and the service was outstanding. A must if you’re in Mexico City! Amazing. The food and service were both outstanding. The service was absolutely top notch. We did the taco menu omakase and there was not one regret. 4 hour feast of tacos and mescal. Enjoyable and tasty but I thought the flavor of the corn masa often overpowered the delicate flavors of the seafood and other fillings. It was quite expensive as well. Absolutely wonderful, service was impeccable and a beautiful range of flavors. i look forward to returning. 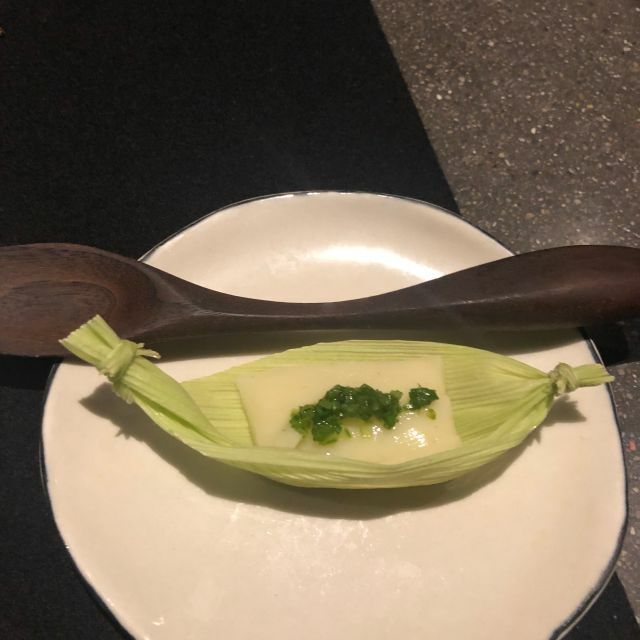 The taco omakase was one of the best dinners of my life. Do whatever you can to make a reservation. The 4pm seating was perfect as the restaurant was relatively quiet - we never felt rushed but there was a constant stream of mind-blowing food. I'd go back in a heartbeat! Absolutely sublime. It was somehow incredibly inventive and payed homage to tradition at the same time. The service was so warm and they made every effort give you a top 15 in the world experience. Highly recommend. INCREDIBLE experience, my best meal in Mexico City, will absolutely recommend to anyone. The food was incredible and the staff was so attentive. It made all the difference. The accompanying mezcal and the dessert outside was the icing on the cake. 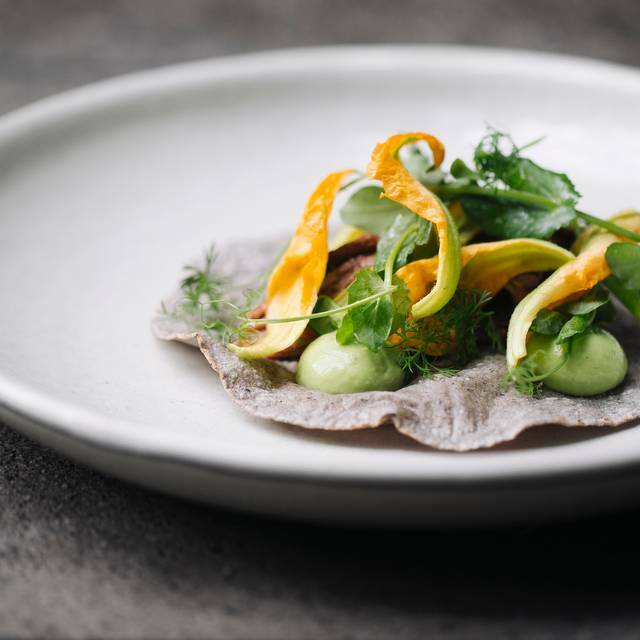 We decided to try the taco tasting menu at Pujol on our honeymoon. 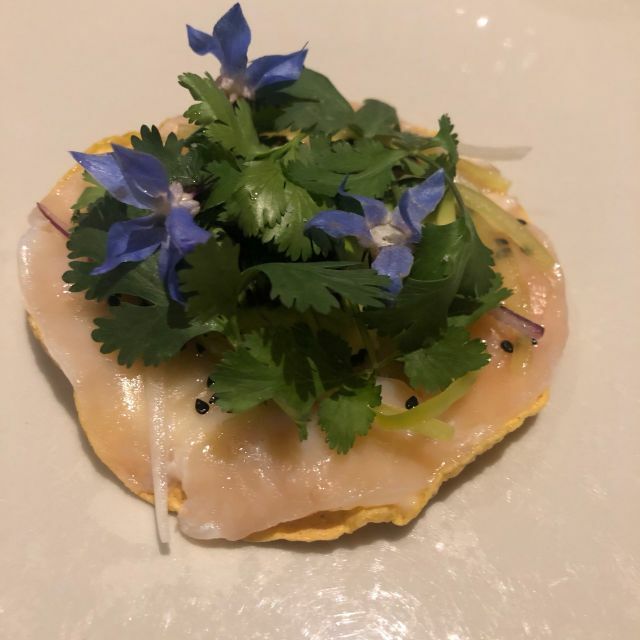 My husband and I are both really into local and unique food and drink, and Pujol’s taco tasting was a perfect way for us to celebrate our wedding. The service was unsurpassed. The food was amazingly delicious! For the foods some were unable to eat, the chef made terrific substitutions - like wild mushrooms for lobster, chayote for scallops, etc. And the drinks (wine, beer, mezcal, or cocktails - each chosen by a bartender at the patron’s request and to compliment the particular course) were superb. Highly recommend!! Amazing in every way and totally worth the price! A must for anyone’s bucket list. The omekase taco tasting was creative and occasionally sublime. However the servers seemed bored and as if they would rather be elsewhere. They treated guests unevenly and were robotic, with little eye contact or warmth. This is easy to brush off when sitting at a table but at a bar, facing each other for two hours, less so. Simply a wonderful meal each course was unique and satisfying. Truly unique experience that I would recommend to any friend! It was way more than I expected. Very creative yet Mexican. Took my husband here for an intimate birthday celebration and it exceeded our expectations!